Humans are deeply ingrained with the smarts to understand risk, yet we nonetheless take mindless risks all the time. 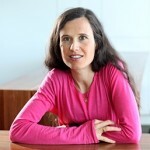 While she was studying at Princeton in 2005, Elise Payzan-LeNestour discovered a fascination with behavioural finance – the connection between how our brains work and what we do with our money. If we are determined to take so many mindless risks, what does this mean for the way we save and spend? Elise Payzan-LeNestour studies how individuals apprehend financial risks, by investigating both actual behavior and its neural bases. She uses the knowledge and methodological tools of several fields – chiefly experimental economics, financial economics, and computational neuroscience – to better understand why market participants behave the way they do. Eliza conducts research and teaching in this area. Elise is currently collaborating with researchers in Economics, Finance, and Cognitive Neuroscience and teaches the Behavioural Finance course at the UNSW Business School.